Today, my dad roasted a whole pig in the backyard. I've only heard about pig roasting parties that have happened on farms. I was concerned with city violations and bylaws. To go along with this whole pig theme, I made Maple Bacon Cupcakes and Dark Chocolate Bacon Cupcakes. Topped them with Candied Bacon and Cream Cheese Frosting. 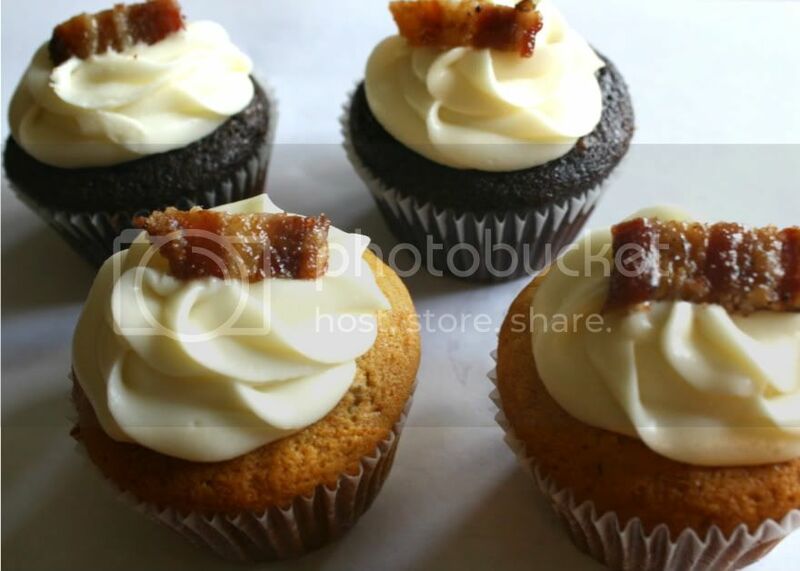 Maple Bacon Cupcakes and Dark Chocolate Bacon Cupcakes. I made some cookies for a friend. This friend of mine had used my school desk as a food storage area for the entire year. It wasn't a big deal. I didn't mind. I was just thankful it wasn't a pair of smelly old socks or something. You are probably wondering, "Why would I make cookies for someone who was all up in my space?" But recently, there was an office move so my friend had to do some spring cleaning. Or should I say fall cleaning? Anyways, all that was left was a sad-looking-half-empty jar of peanut butter. So I decided to swipe it and make cookies. I used this recipe almost a year ago and totally forgot. They look smaller this time... because they are. Some of them are also filled with a chocolatey goodness. Oh, and I changed the baking temperature and time. 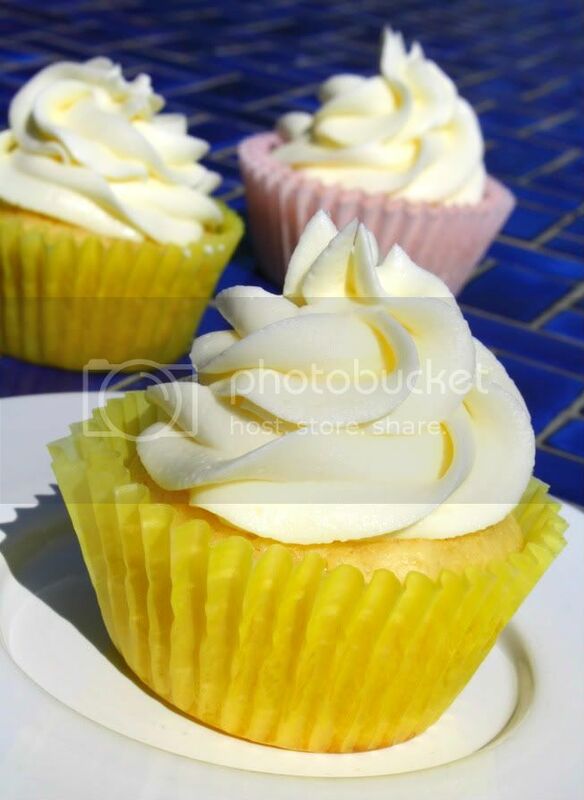 Piña Colada Cupcakes with Almond Buttercream Frosting. 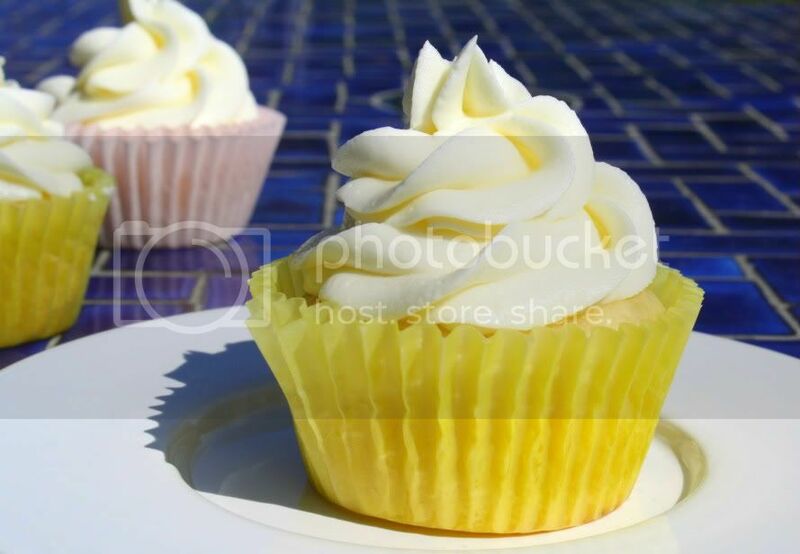 "If you like Piña Coladas, and getting caught in the rain..." then you might like these cupcakes. Don't worry, you don't need to be into yoga but having a brain would be good. I have trouble sleeping in. I don't know why that is and today was no exception. Maybe it's because my window blinds are filled with tiny holes/slots and don't actually block out the light in the morning. I'm also aware that it's possible for people to see into my room at night. Definitely creeps me out just thinking about it. And no, I didn't choose these window blinds, but I'm too lazy to change them now. Or maybe it's because I wake up at the same time almost everyday. Circadian rhythms and whatnot. Regardless, I was super tired this morning but all I wanted to do was bake something different. Probably not the best idea to make substitutions for almost everything in the recipe so I'm not going to post it. I'm not even sure I can remember it. Don't worry, the cupcake turned out fine. Very moist. Always a good thing. 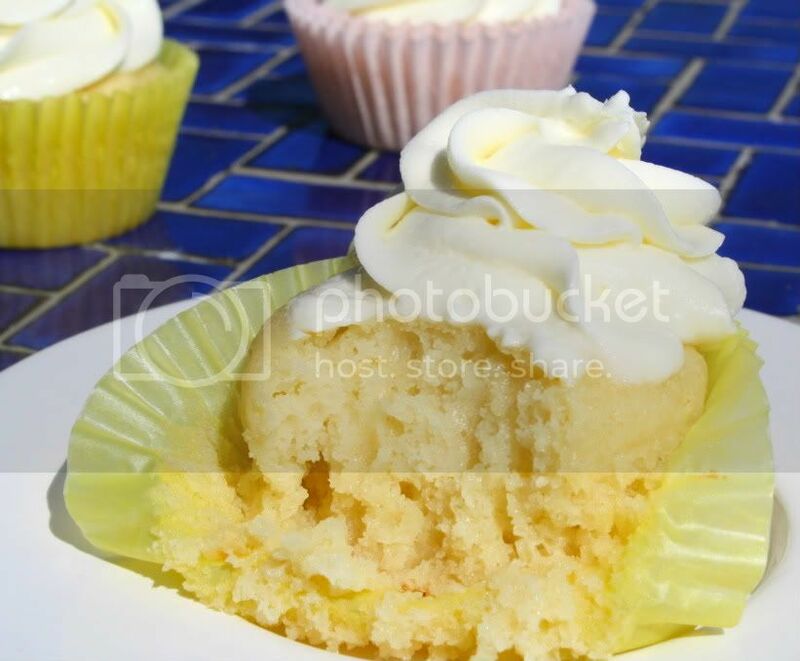 I'm not sure why these cupcakes stuck to the cupcake liners, which of course made it difficult to take off the liner. Maybe it was because I double layered the cupcakes. I've never done that before and I'm not sure why I did. Probably because I was so tired. Maybe if I had baked them longer, they would have come off clean. Update: Now that the cupcakes have cooled, they don't stick to the liners. 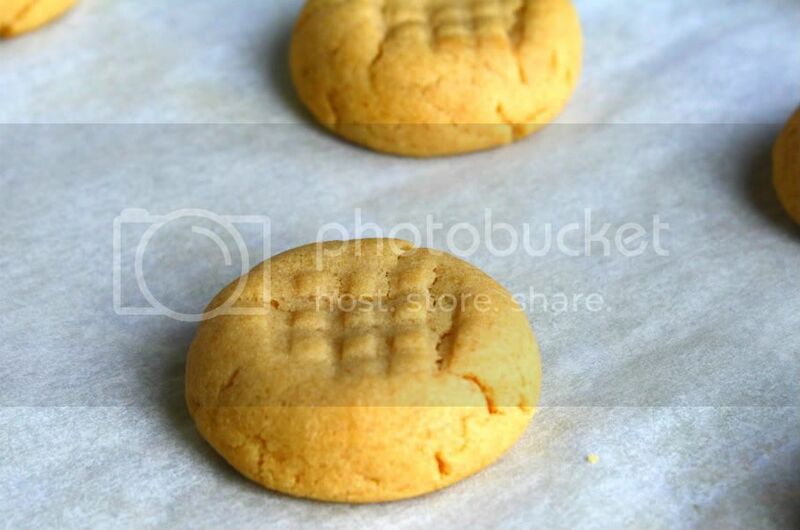 I also decided to post the recipe but just keep in mind that most of the measurements are approximate.